Rediff.com » News » Star India responsible for Game of Thrones leak? Star India responsible for Game of Thrones leak? The channel has begun forensic investigations into the leak of the next episode, which was posted on Reddit three days before the official release. Romita Majumdar and Urvi Malvania report. 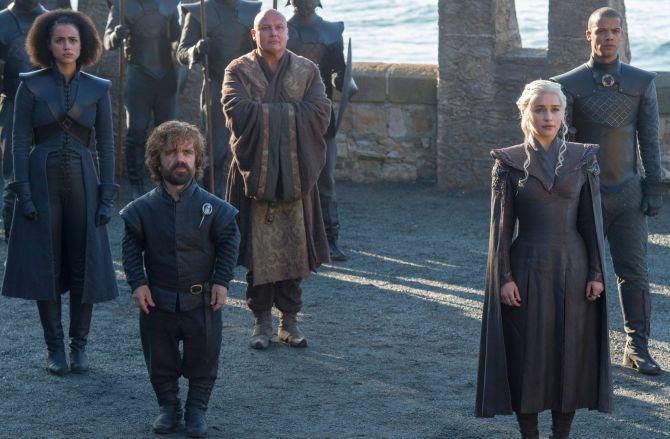 STAR India, which has the rights for Game of Thrones streaming in the country, has begun forensic investigations into the leak of the next episode of the American fantasy drama series with a global fan following. STAR will also follow this up with a legal case against those who were involved with the leak. On Friday, August 4, the fourth episode of the Game of Thrones Season 7 was leaked on the social discussion site Reddit, three days before the official release. 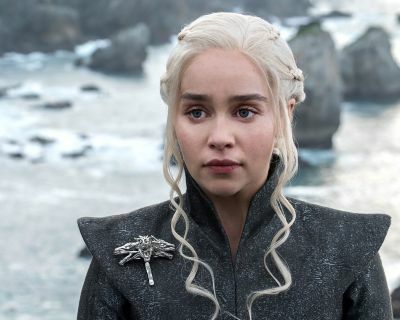 Initially, it was thought to have been the work of hackers who had stolen over 1.5 terabytes of data from HBO, the producer of the television series. However, the file available online has STAR India's watermark on it and was meant only for internal viewing, according to The Verge, which first reported the story. The Reddit thread was linked to a Google Drive post, which was taken down for violating the terms of service. "This confirms the compromise of episode 4 of Game of Thrones Season 7. We take this breach very seriously and have immediately initiated forensic investigations at our and the technology partner's end to swiftly determine the cause. This is a grave issue and we are taking appropriate legal remedial action," said a STAR India spokesperson. No further comments on how the leak happened were available from the network. No complaint had been registered with the Mumbai cyber crime cell till Saturday afternoon. STAR India inked a content distribution deal with HBO in December 2015, which came into effect from January 1, 2016. Under this deal, STAR India is the exclusive distributor of a few HBO original series, including Game of Thrones, Veep, Silicon Valley and True Detective. It also gives STAR access to library shows like Entourage and The Sopranos. STAR India uses the English entertainment channels and its video streaming platform Hotstar to distribute these shows. Game of Thrones episodes are aired on Hotstar for Indian viewers within minutes of their release in the US. It is not clear if the episode was leaked by the same group that was responsible for last week's data breach as hackers had only published episode scripts last week. Pirated copies of the episode, Spoils of War, are allegedly still being circulating on pirated file sharing sites. In 2015, the first four episodes of Game of Thrones Season 5 had suffered a similar fate when they were leaked a few hours before official release due to an internal breach from an HBO approved source. In April 2016, Hotstar introduced a paywall for the first time since its launch in February 2015. This coincided with the Season 6 premiere of Game of Thrones. Currently, all the HBO Originals, including ongoing ones like This is Us and Westworld, are available to premium subscribers of Hotstar as is Game of Thrones. At Rs 199 a month, Hotstar charges less than Netflix (starting at Rs 500 a month), but more than other platforms like Eros Now (starting at Rs 60 a month) and Amazon Prime Video (inclusive in the Rs 499 per year Amazon Prime subscription). Censor Board review copy surfaced soon after makers went public with CBFC's 'unreasonable' demands. Parts of the movie were leaked online days before release. First four episodes leaked a day prior to season premiere. Censor board employee was arrested for the leak. Rough cut of the movie surfaced 10 days before the release. Sony servers were hacked into and five movies were leaked allegedly by North Korea. First five episodes leaked seven weeks before Peter Capaldi's debut as the Doctor. Chasing Winter: 5 Game of Thrones locations you must visit! Cops use the Game of Thrones way into millennial hearts!